Google keeps visiting blogs and websites spread over internet to check out for updates. The frequency of visit on a particular blog depend upon the quality of Blog or website. For example Google may be visiting your newly created blog once in a month, and at the same time he may be poking his nose in TechCrunch every hour. Updated blogs with high Page Rank are visited daily. Colder blogs with low Page rank are touched once in a month. So, its quite clear that you can know how much Google loves you by the frequency of his visit. Do the hell with visitors, everyone want Google uncle as a chief guest on their blog daily. Because if Google comes on your blog, the visitors will come anyway. 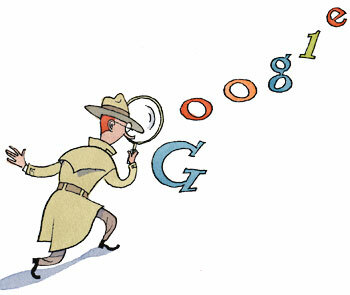 The question is how to find when Google crawled you recently? Click on Cached link and you will be taken to a page where on the top portion some information will be displayed. The date displayed is the last time Google touched you after your update. Thus you can easily tell that on 18 Oct (in case above) , Google uncle came. Remove credit link from footer as it will take away your page rank juice …. keep writing for 4-5 months unique content posts and submit to bookmarking websites ..
once 4 months approaches you can give it a shot by applying at google adsense .. if they reject … reapply after 1-2 months …. hi, one more query , what shall i do, if i get a bad comment on one of my article which may distract other of my readers…….How should, i have to manage that reader who posted the comment, so that he doesnt run away from my blog….. I believe that there is nothing like a good or bad comment. More important is whether you reply or not to a comment. As long as the conversation goes on, you will have returning visitors. Spend more time on webmaster forums, reading blogs about search engine optimization and make a habit of building links. You will go a long way! for wordpress blogs is there any plugin to crawl the page by google in 2seconds? Try Google XML sitemap plugin. It pings the blog instantly.